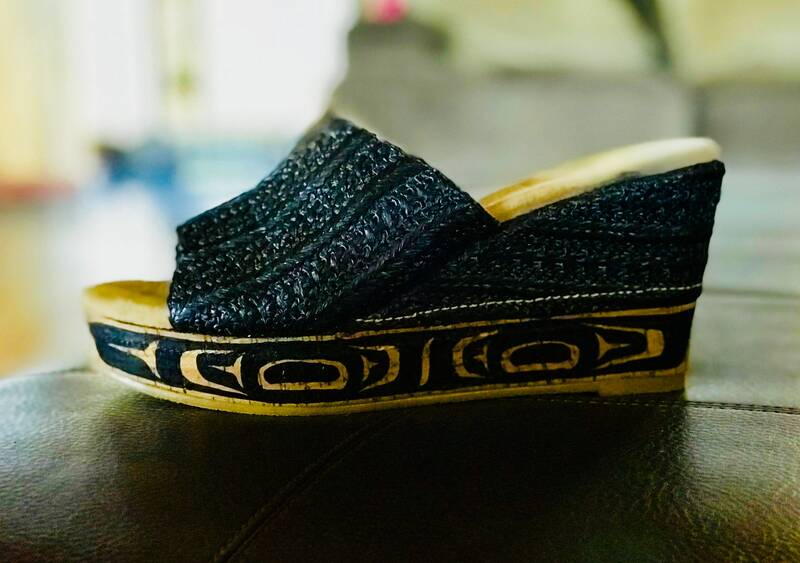 Hand painted wedge heels with Haida formline shapes (painted by Kaigaini Haida artist Sondra. S. Segundo). Volitile Brand shoes. Size 9 us women.